Cyber forensics course specialists reported that a few days ago Julian Assange was expelled from the Embassy of Ecuador in London this morning, after the government of the South American country decided to revoke the asylum it provided to the founder of WikiLeaks. According to specialists of the International Institute of Cyber Security (IICS) this leaves the U.S. government free to begin the process of extradition of Assange. 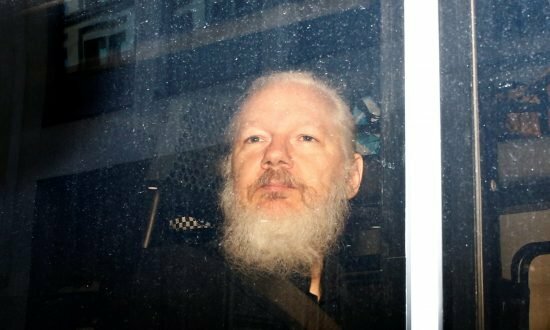 Assange, of weak countenance and careless beard, was removed from the embassy facilities by several people, on the street a police vehicle was already waiting for him. U.S. government Officials announced that Assange is accused of conspiring to commit various computer crimes. On the other hand, Donald Trump, U.S. president, refused to make statements on the charges that his administration has imputed to the founder of WikiLeaks; “I don’t know anything about WikiLeaks, it’s not my business,” Trump said. The British police mentioned that Assange was arrested after knowing the Ecuadorian government’s decision to withdraw the political asylum; Assange was subsequently presented to a court in London, report cyber forensics course specialists. Meanwhile, the U.S. Department of Justice (DOJ) reiterates that Assange has been accused on American territory of conspiring with Chelsea Manning, a former military intelligence analyst, to gain access to a government network with the intent to leak confidential information in 2010. The leaked information included mainly reports on U.S. military campaigns in the Middle East, as well as confidential diplomatic documents. Assange was indicted by the U.S. since last year, although it was made very discreetly, almost secretly, considered cyber forensics course experts. The founder of WikiLeaks could be sentenced to up to five years in prison, although it is not ruled out that the administration of Donald Trump will present additional charges later. The Government of Ecuador decided to suspend Assange’s citizenship, and it accuses him and his WikiLeaks partners of collaborating in various political intrusions on Ecuadorian territory. The Defense argues that Assange is at risk of torture, and fears that his life will be in danger if he is extradited to The U.S. The persecution of the U.S. authorities against Assange dates back to the year 2010, during the administration of former President Obama. The leaks made by WikiLeaks meant a severe blow to the credibility of the American government, and they compromised their relationship with some allied nations.